The specs and images of the future version of Go Pro Hero has leaked before an official announcement has been made. 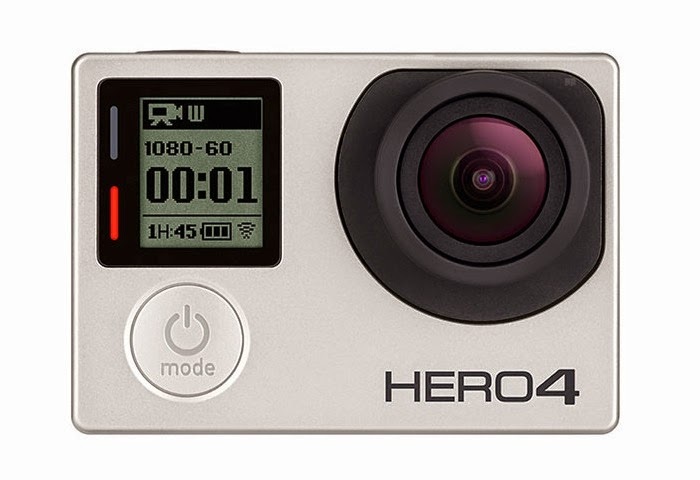 The GoPro Hero 4 will be available in two versions, the Hero 4 Black and the Hero 4 Silver. The Black version will be capable of capturing 4K video at 30 frames/second and under the hood has a processor which is twice faster than the speed of the Hero 3. Video resolutions for the GoPro Hero 4 Black are 4K at 30fps, 2.7K at 50fps, 1440p at 80fps, 1080p at 120fps, 960p at 120fps, and 720p at 120fps. Hero 4 Black can also capture 12 megapixel still photos at 230 frames per second. GoPro Hero 4 Black can be submerged into depths of 40 meters. It is also has built-in touch display (which are not built-in in previous versions). For connectivity, it supports wireless and bluetooth connections. The GoPro Hero 4 Silver video resolutions are 4K at 15fps, 2.7K at 30fps, 1440p at 48fps, 1080p at 60fps, 960p at 100fps, and 720p at 120fps. 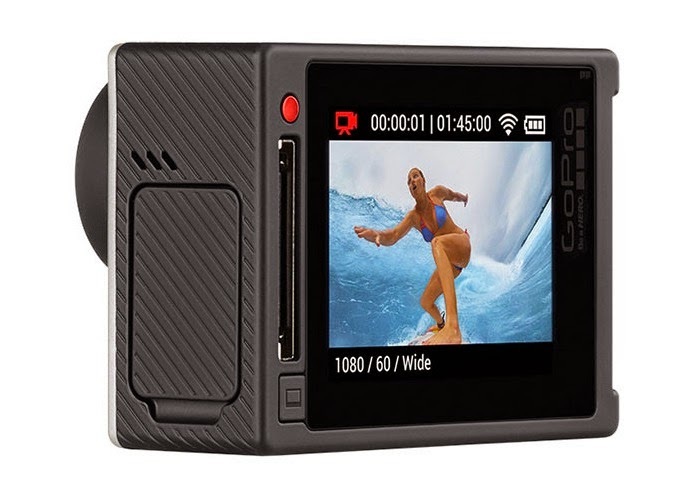 It also has the wireless and bluetooth connectivity, and the built-in touch display features similar to GoPro Hero 4 Black. The GoPro Hero Black is rumoured to release on October 8.